Does your front entry look like the site of a battle between a mud pie, a pillar of salt, and half the Sunday paper? Yeah, us too. Hooray for winter. You can fix that, though, with this bilevel boot rack ($80). 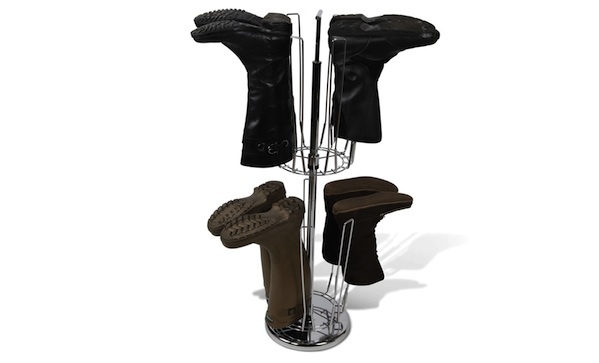 It fits four pairs of boots on each level, rotates for easy access, and keeps a whole lot of books in one compact space.